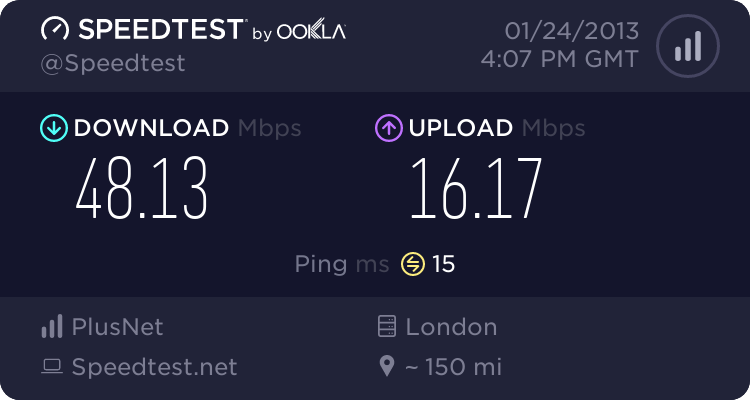 The router appears to work as normal up to a point, on startup the dsl light flashes and then goes solid which according to the status page it's syncing at around 5Mb/s which is about right as it's a rural area. I kept an eye on it but never saw it dropping sync and retrying. Usually I'd expect this to be a configuration issue but I went through the ADSL settings and they looked fine, the fact that the old router just suddenly stopped working and the external line was damaged give some credit to the thought it could be a line issue. The microfilters have been changed and the call quality on a phone plugged into the microfilter seems fine, there's no background noise at all. On looking up this error the fail doesn't seem relevant either because again I found people with that error and who had a working internet connection. Entanet are meant to be monitoring the connection tonight, BT have said the line is showing fine from their end and if they come out to check the house wiring then it's a £200 charge (or similar). I would check that the phone line is the correct number just to make sure things have been repaired correctly - i.e. phone the number from a mobile. Two of my neighbours recently had problems when BT swapped their numbers round! I would try the original router again as it would be quite a coincidence if this failed at the same time as the line was cut. Assuming no one has changed the ADSL settings it would be interesting to see what this reports. If you are getting a sync is your router's 'internet' or PPP light on? I'm a Freeola customer and a long while back the ADSL login details in MyFreeola were displayed in the wrong format for some users, is this where the details came from? That's why using the original router is worth another try in case it's just the login that's failing. Check the logs to see if they are reporting anything, also change the username to: [email protected]_domain and see if the router connects and gets an IP address (you wont be able to surf the internet with those login details, it is just a test login) when you have done that let us know what the outcome is and also what settings you have in the router to see if anything shows out. It sounds like a PPP issue. I did try the original router although annoyingly they couldn't remember the admin password for it however it appeared to be doing exactly the same, the DSL light would flash, go solid but then the internet light didn't come on either. No, it didn't come up on either router and on the second one when I logged in it showed the PPP session as down. I wasn't able to check that setting but the person said they'd been through it with Freeola support so I'm assuming that part is fine as normally in this situation my thought would be their login is wrong. Thanks also for the prompt reply, it's much appreciated. I did try what I thought was the BT test login but I think it's the wrong one I tried, I was on the phone to someone with an internet connection and they gave me the details [email protected]_domain which I see is the first result on Google. This didn't work but now I'm worried that it wouldn't work anyway as it's the wrong one. I've had a look for this error and found people who had exactly the same one but their connection was working so I'm not sure if it's a just a red herring. I'm kicking myself now as I didn't take screenshots of their settings, I checked what I thought were the obvious ones - the router was set to PPPOA/PPPOE (rather than dynamic IP address, static IP address or Bridging mode), the VPI was 0, the VCI 38 and the connection type was set to PPPoA VCMUX (or something similar to that). I haven't used the BT test login for a while but I assume it should just be a case of changing the username, deleting the password and nothing else? As it's likely the phone is a "BT" line, dialling 17070 will start with "This circuit is defined as number". Re the ADSL login, did you re-enter the details in the old router? If so, are you using a zero or letter O where the other should be there? Also upper and lower case matters. Or dial 1470 17070 to be certain in case Number Withheld. I've spoken with the person again today and got them to check the phone number, unfortunately it is the correct number as it seemed to fit the symptoms and would have been a straightforward issue to resolve. The service provider phoned back and said their testing showed a line fault so they're going to speak to BT to get an engineer to come out and have a look so will wait and see what happens next. This always annoys me. If nothing has changed in the house, then the house is not a problem and just tell them to go ahead as it is highly unlikely there will be a bill. I think this is just one of the ways of trying to stop people complaining. In this particular case, the problem is almost definitely to do with the cable damage. I think BT call out charges are not welcome by many, certainly not us, but we have to warn customers about them. If we don't tell you there is/maybe a charge then it wouldn't really be fair to you. Johnmcl7, I take it you are dealing with our support people? If you are then if you PM me a ticket reference of something I can have a poke around and see if I can help. It certainly seems to be something outside your control from the problem you have described.